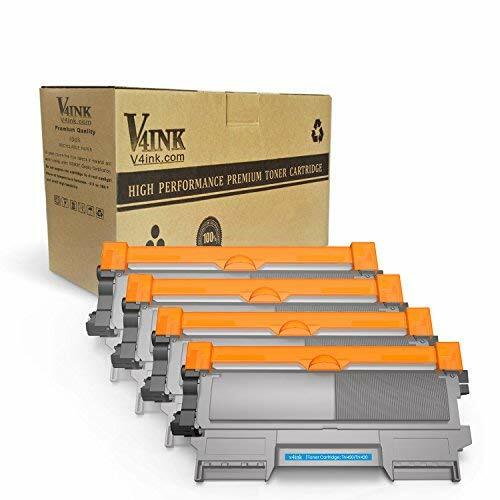 The V4INK New Compatible Brother TN450 TN420 Toner Cartridge is the replacement of the OEM model. It is manufactured with the highest standards of quality, reliability and compatibility. We guarantee our products without defects in materials and workmanship. If the product is found to have problems, demand for a return is acceptable. Meeting standards of ISO 9001&14001, we produce our products with 100% new components. V4INK TN450 Compatible for Brother Printer: DCP-7060D, DCP-7065DN, HL-2220, HL-2230, HL-2240, HL-2240D, HL-2270DW, HL-2275DW, HL-2280DW, IntelliFax-2840, IntelliFax-2940, MFC-7240, MFC-7360N, MFC-7365DN, MFC-7460DN, MFC-7860DW Series. With strong packing and on time delivery promised. Compatible replacement of the OEM model. Ink prints dark without fading, working stably and long lasting. Inexpensive but with good working condition. Two-Year Warranty and 24x7 Customer Support. If you have any question, please contact us. Please be informed that this product is COMPATIBLE MODEL, NON-OEM.